Chinese Asian Coleslaw is not your typical coleslaw. It pairs with my Pressure Cooker Chinese BBQ Char Siu Pulled Pork recipe for a delicious meal. We traveled from Florida to California and stayed in our RV for a while. We set up an outside kitchen and had a great time cooking in limited space. So many recipes were created in our RV and it was great sharing the food with so many interesting people. 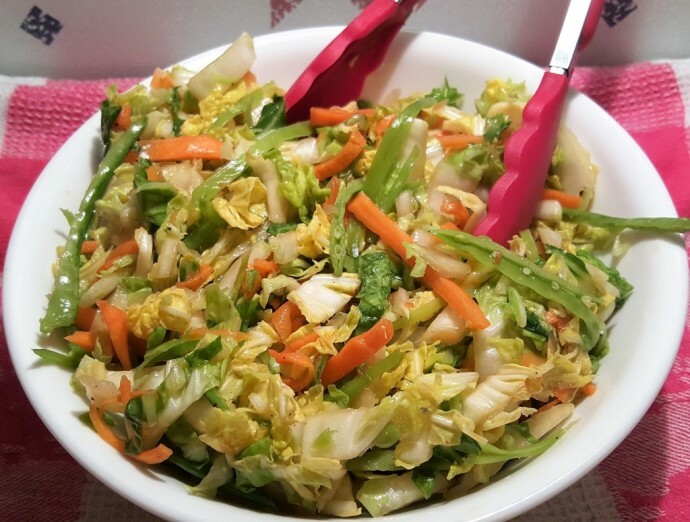 This Chinese Asian Coleslaw is one of those recipes with so many memories. It is so good and so easy and pairs perfectly with my Pressure Cooker Asian BBQ Char Siu Pulled Pork. 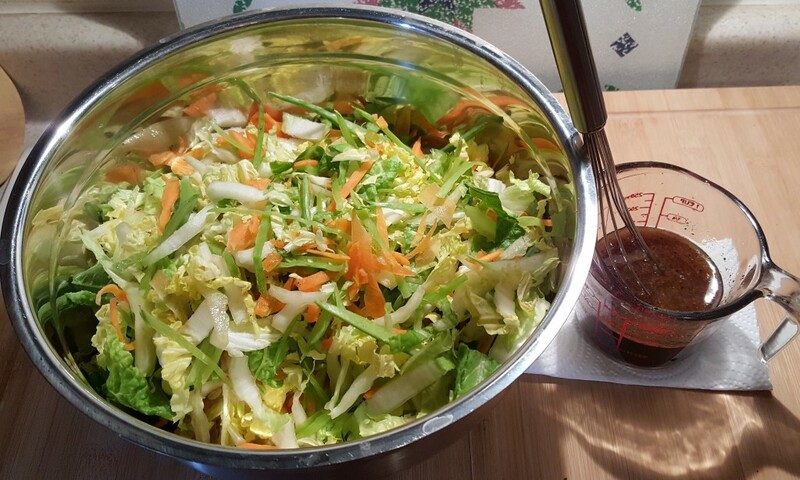 Since I frequently infuse American food with Asian ingredients, I already had all ingredients on hand for Chinese Asian Coleslaw. The result was the best pulled pork sandwich I had ever had. It was so good in fact, that when the mail carrier came by, I made a sandwich for him. The next day when he returned, he told me that the smell was so good that he couldn’t wait to get back to the office and pulled over and ate the sandwich. Veggies all julienned up in a big bowl. I used a Veggetti Spiral Vegetable Slicer for the carrots. A knife works well, but be careful. Delicious dressing is whisked together and poured over the veggies. 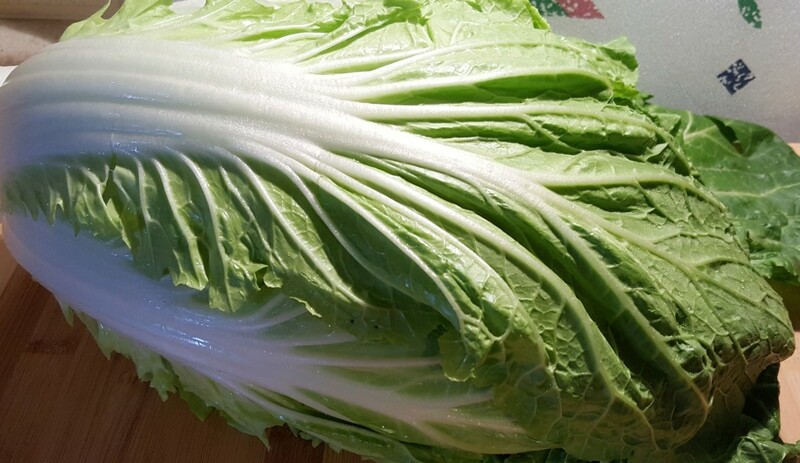 My trick with the Chinese Asian Coleslaw is to put it in a large and strong Ziploc bag and lay flat in the refrigerator and turn over, every few hours. This allows the slaw to marinate evenly. If you are traveling or going to a Superbowl party, just grab a bowl and the Ziploc bag full of Slaw. When you get there, dump the Slaw into the bowl and no worry of spillage in the car! For another spin on this recipe, add chicken, Mandarian orange slices and sliced almonds to the slaw and serve as a salad. From then on, our mailman sure seemed to make sure to come around when I was cooking. He was well fed and made a great tester for new recipes. Serve this Chinese Asian Coleslaw with my Pressure Cooker Asian BBQ Char Siu Pulled Pork and Classic Red Bliss Potato Salad. 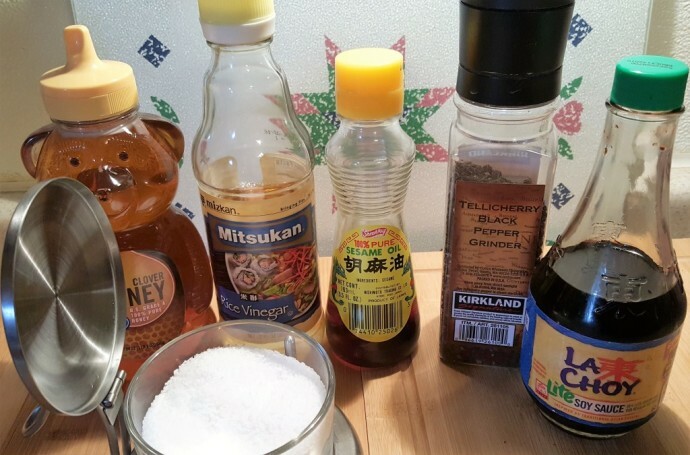 Mix all together and let marinate in refrigerator for at least a few hours. 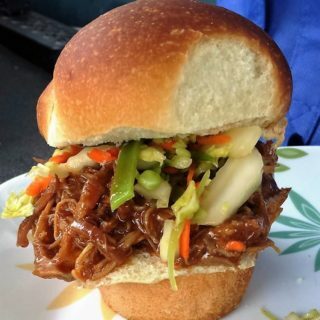 Serve over Chinese Asian BBQ Pulled Pork on buns. 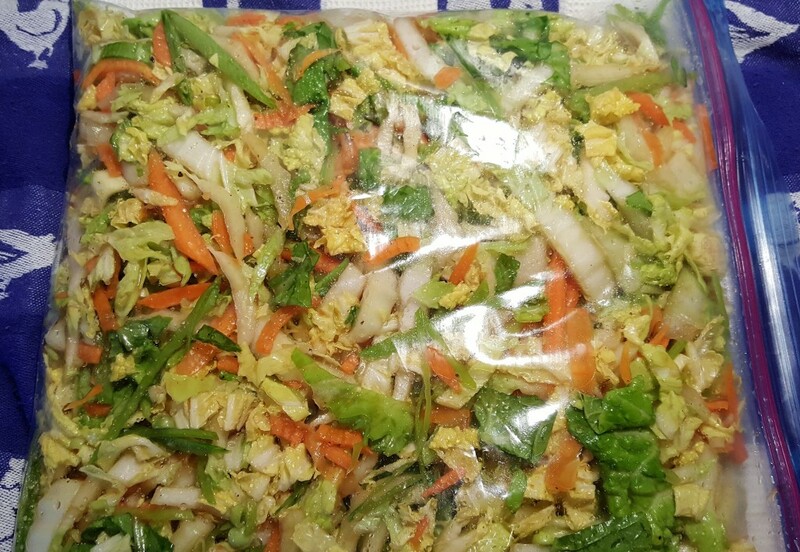 PIN this Chinese Asian Coleslaw!